"I have this romantic idea of the movies as a conjunction of place, people and experiences, all different for each of us, a context in which individual and separate beings try to commune, where the individual experience overlaps with the communal and where that overlapping is demarcated by how we measure the differing responses between ourselves and the rest of the audience: do they laugh when we don’t (and what does that mean? ); are they moved when we feel like laughing (and what does that say about me or the others) etc. 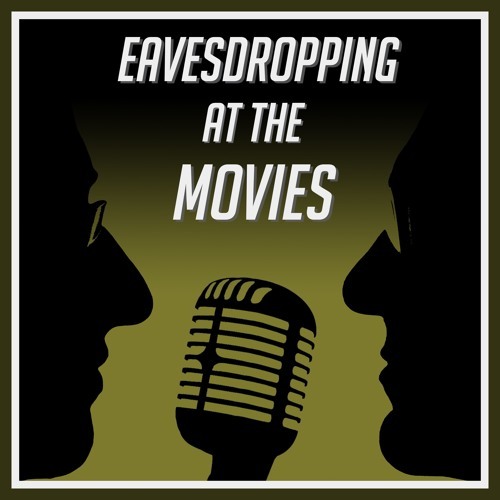 The idea behind this podcast is to satiate the urge I sometimes have when I see a movie alone – to eavesdrop on what others say. What do they think? How does their experience compare to mine? Snippets are overhead as one leaves the cinema and are often food for thought. A longer snippet of such an experience is what I hope to provide: it’s two friends chatting immediately after a movie. It’s unrehearsed, meandering, slightly convoluted, certainly enthusiastic, and well informed, if not necessarily on all aspects a particular work gives rise to, certainly in terms of knowledge of cinema in general and considerable experience of watching different types of movies and watching movies in different types of ways. It’s not a review. It’s a conversation." - José Arroyo. "I just like the sound of my own voice." - Michael Glass.